Hip Dysplasia in Dogs – Uncomfortable but Manageable - Petpav - Your Online Magazine for All Things Pet! 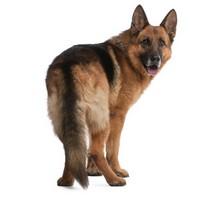 Hip dysplasia is one of the most common skeletal diseases in dogs. Gender does not seem to be a factor, but some breeds are more likely to have the genetic predisposition for hip dysplasia than other breeds. Large breeds, such as the Great Dane, Saint Bernard, Labrador retriever and German Shepherd are most commonly affected. It is rare for smaller breed dogs to have the condition. Hip dysplasia is an inherited condition resulting from an improperly formed hip joint. Because the joint is loose, the dog’s leg bone moves around too much, causing painful wear and tear. Some cases of hip dysplasia are so mild there are no symptoms, but if your dog seems stiff or sore in the hips when getting up, if he seems hesitant to exercise, stand on his hind legs or climb stairs, or if he’s limping or bunny-hopping, a visit to the vet is in order. Some of the more obvious symptoms are difficulty in getting up; your dog’s reluctance to run, jump, or climb stairs, and hobbling. Each case is different, depending on the dog. Hip dysplasia can begin to develop in puppies of five months old and worsen as they age or not show up at all until a dog has reached geriatric years. In many cases, though, the condition becomes visible in dogs in their middle or later years. If you notice any of the symptoms above, it is important to take your dog to your veterinarian for an x-ray. Your veterinarian will perform a complete physical exam on your dog, including a blood chemical profile, a complete blood count, an electrolyte panel and a urinalysis. Inflammation due to joint disease is usually noted in the complete blood count. manage the condition. 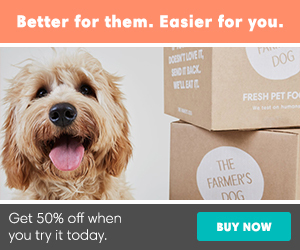 Your vet will help you with a daily pain-relieving program that is right for your dog. As always, you should consult your veterinarian about a good exercise program for your dog. Walking and moderate running can help strengthen the muscles around the joint. Your vet may recommend that you try a few short walks each day and be sure to let your dog set the pace. As a general rule, it’s smart to avoid jumping or running for long distances. If you can, consider letting your dog swim for exercise as swimming is excellent for the muscles surrounding his joints. Your dog might be treated on an outpatient basis as long as he or she does not require surgery. The decision for whether your dog will undergo surgery will depend on your dog’s size, age, and intended function (i.e., whether your dog is a working dog, as many large breeds tend to be). It will also depend on the severity of joint looseness, degree of osteoarthritis, your veterinarian’s preference for treatment and your budget. Weight control is an important aspect of recovery and is recommended to decrease the pressure applied to the painful joint as the dog moves. You and your veterinarian will need to work together to minimize any weight gain associated with reduced exercise during recovery. Further, special diets designed for rapidly growing large-breed dogs may decrease the severity of hip dysplasia. It’s always important for dogs that are prone to hip dysplasia to keep their weight in a normal range to avoid undue pressure on their hips.